Now I know why some people say that 1970s French electronic music was a predecessor for techno/electro electronic music to come in the 1980's. We all know Jean Michel Jarre. But there were many others, mostly unknown ones. Like Frederic Mercier. I ranked this album so high only because of one track - "Spirit". Mind-blowing, beautiful, deep soothing pads that remind of Derrick May and Juan Atkins 10 years later giving birth to techno. Speed up "Spirit" on your turntables and it will sound like great 1990s trance! Crazy! 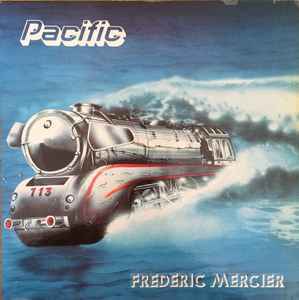 Rare but beautiful tracks like that make French electronic avant garde music of 1970s so special to me. Too bad many other tracks come in noodly new age or boring pop/space rock variety, or just some over-rated experimential electronic sounds under 3 minutes in length. I've come across other amazing French nuggets of that era, from beautiful space disco to new age to innovative electronic sounds that sound a lot like electro and techno of today. This album is definitely worth buying, the tracks are not bad - but not much to comment on, but to me "Spirit" stands out as a very unique and brilliant track on this release. Underwater / (Sub)Aquatic LIBRARY / Water Theme Soundtracks And Hydromania LPs. by Most.